Today placed on the north end of the University of Vermont campus green (UVM). (Go to TOPIC VII (T7) – LAFAYETTE’S FAREWELL TOUR (1824-1825) / Burlington, VT for more information). General Gilbert du Motier, marquis de La Fayette or the French involvement during the American Revolution. The first permanent settlement began in May 1787, when Colonel Jacob Davis and his uncle General Parley Davis arrived from Charlton, MA. Colonel Davis selected the name « Montpelier » after the French city of Montpellier. At that time, there was general enthusiasm for things French as a result of the country’s aid to the American colonies during the Revolutionary War. Colonel Jacob Davis named Calais after the French port city of the same name, during a time of general enthusiasm for things French as a result of France’s aid during the American Revolution. The city is named for Frenchman Charles Gravier, Comte de Vergennes, who greatly aided the rebel colonial effort in the American Revolutionary War. 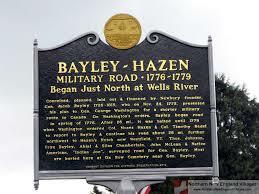 He supports the American rebel colonists by arranging to send them arms and troops to the revolutionary cause. 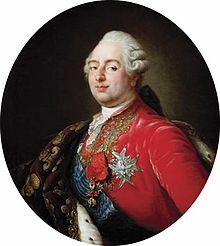 He worked with Beaumarchais to secretly procure arms and volunteers and get them to the Americans. As directed by Louis XVI, Gravier established a dummy company through which the Americans received nearly 80% of their military supplies from France. At the close of the war, Gravier negotiated the 1783 Treaty of Paris, which formally established peace between the United States and Britain. Lafayette Place (a dead-end street) at night! Bristol, VT – Lafayette Rd. Claremont, VT – Lafayette St.
Rutland City, VT – Lafayette St.
St. Johnsbury, VT – Lafayette St.
South Burlington, VT – Lafayette dr.
Vermont during the American Revolution was claimed by New York and New Hampshire states and was involved in the revolutionary war. It was almost the 14th States! Many French-Canadians where involves in the Revolutionary War. Lafayette visited New England: Massachusetts, MA Rhode Island, RI Maine, ME New Hampshire, N.H Vermont, VT and Connecticut, CT twice, spending a month all told in the region. On September 1, he visited Portsmouth, N.H, then headed south again to Boston and Lexington, MA. He then visited familiar places: Philadelphia, Delaware, Virginia. He spent some time in the new capital, Washington, D.C. then south to Maryland, the Carolinas, and Georgia. He turned west to see the new states of Alabama, Mississippi, and Louisiana, then up the Mississippi River in a steamboat to Missouri, Tennessee, Kentucky, Illinois, Indiana, and Ohio. Then he traveled back through Pennsylvania to New York, where he saw Niagara Falls and went to Albany by way of the Erie Canal. From Albany, he traveled straight to Boston. On June 27, he arrived late at night in Claremont, N.H.
On June 28, Early morning, Lafayette crosses into Vermont at the Cornish Bridge. He travels north, passing through Woodstock at 11 a.m., taking a stagecoach through the mountains to Barnard and Royalton, Vermont. He passes through Randolph; here he is said to have met a young Justin S. Morrill and eventual Senator Dudley Chase. He is escorted with Governor Cornelius P. Van Ness and others through Barre to large festivities in Montpelier, VT that include speeches by Supreme Court Judge Elijah Paine and others. He spends the night in Montpelier at The Pavilion. There were three bridges previously built on this site—one each in 1796, 1824 (used by Lafayette) and 1828. Image: Built in 1866, this is the longest wooden bridge in the US and the longest two-span covered bridge in the world. 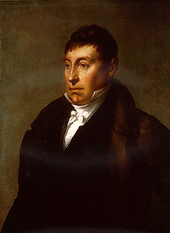 It is said that Lafayette became a friend of David Sumner when the latter was a Representative in Vermont. Benjamin Steele inherited the property upon the death of David Sumner, father of his wife Martha (Sumner). Martha Steele is credited with preserving the mansion and an original coach used by David Sumner and loaned to the Marquis de Lafayette on his visit to Vermont in 1825. She subsequently donated the coach to the Hartland Historical Society. On Wednesday, June 29, Lafayette meets with women’s groups and then departs Montpelier, VT for Burlington, VT, arriving there about 11:00am. He lays the cornerstone for the « South College » building at the University of Vermont and gives a talk to about 50-60 students. He is entertained at the Grassmount estate. The Old Mill Building (historically known as the Main College Building) is the oldest campus building of the University of Vermont (UVM) and is located along the central eastern side of the « University Green » in Burlington, VT.
On June 29, 1825, Lafayette departs from Burlington, VT 12 hours after he arrives. He traveled overnight south on Lake Champlain past Mount Independence, Orwell, VT on the steamboat Phoenix II.